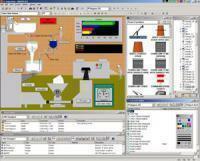 create and manage projects for Omron operator interfaces. help, and active error tracking. 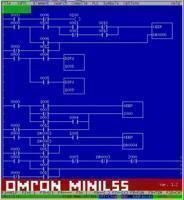 the power and refinement of Omron's latest NTST programming software. "NTST Demo Program" folder and following the installation prompts. CompoNet Configuration Tool + CompoNet Manuals + CPS Files for CX-Integrator. IMPORTANT - When running the CompoNet Installer select 'Custom' setup and de-select CX-Server. To reduce the file size I have removed the CX-Server files that came with the CD. Working demo of CX Server Lite Communication program. Hooks to Excel Access and the Visual Languages. One-hour timeout. Requires CX Server 1.5 or higher. CX Server is installed along with CX Programmer. Windows Software for programming the small Omron ZEN PLC. Includes a simulator for running the ZEN program. This is a 30 day trial package. Sysmac Support Software 1.13 - DOS Software that combines CVSS and LSS software into one package. Design Software for NT Touchscreens. Does not go online with Touchscreen. Supports SP10 SP16 SP20 and SK20 Omron PLCs. 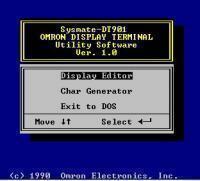 DOS Software for C-Series PLCs. The last revision before Syswin Software. DOS Software for CV500 CV1000 and CV2000 PLCs. It is the only software that supports SFC for these PLCs.